Andhika Nugraha is a young architect from Medan, Indonesia. He is very passionate about beauty, but in a very simple way. Simple, but not simplistic. The proportion between full and empty spaces and the directions given by volumetric bodies give the building a special refinement. Being a beachfront house, a large outdoor terrace with view to the sea is priceless. Large windows invite all the nature inside. The whole volume is vibrating. Wonderful! The Casa Kimball by Architect firm Rangr Studio is a unique and stunning modern rental villa located in Cabrera in Dominican Republic. Completed in December 2008, Casa Kimball is a private beach house get-away and luxury rental villa located on the North coast of the Dominican Republic. Just like the Villa Amanzi, Casa Kimball invites its lucky guests to an exceptional and truly exclusive private vacation experience. Casa Kimball can be booked for $3,000 to $5,000 per day, depending on the season. Casa Areia is pure nakedness and muteness. 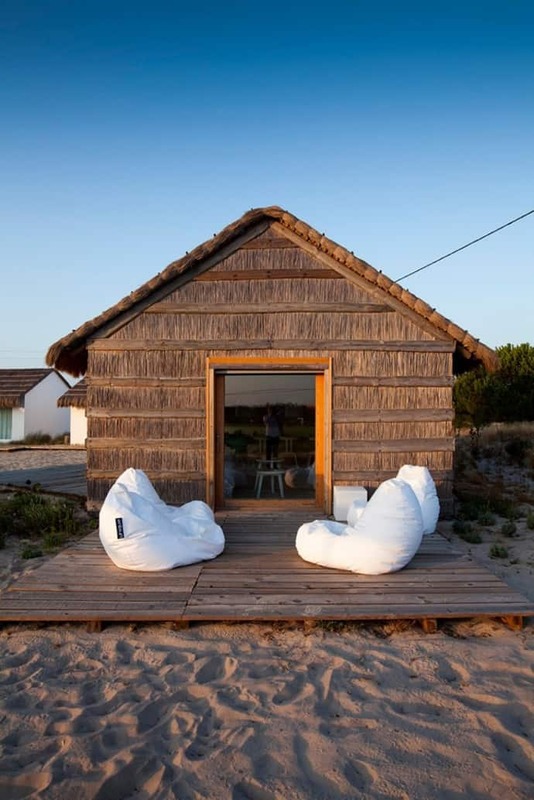 The platonic suggestion—a sea cottage with sandy floors—is a serene search for simplicity. Sandy ground and wooden frames are an apparently simple attempt at making the space a reciprocal relationship with the beach landscape. The design begins with the conditions of the materials, according to their potential habitability. 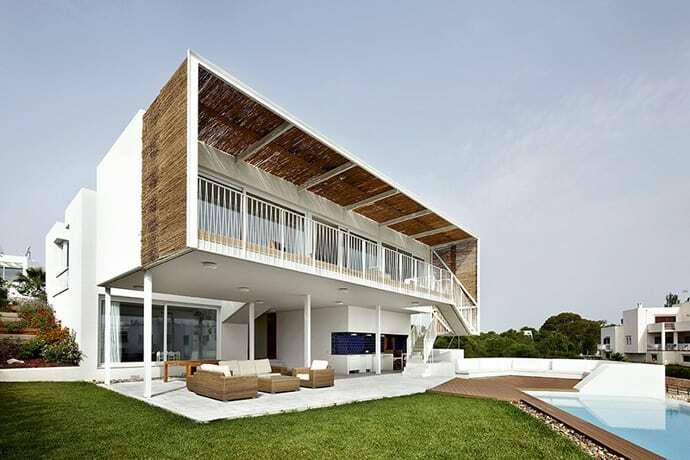 Barcelona- based Flexo Arquitectura has created this beautiful house architecture for a private home in the touristic seafront region of cala d’or sits atop a dramatic slope and opens to beach views and garden patios. This house is located in a coastal area and occupies a 1.000 m2 plot with a steep sloping from the road to the nice views, which do not match the best solar orientation. This stunning home offers the boundaries of ordinary living and incredibly beautiful views of the ocean, open sky and natural landscape. This 11,000-square-foot piece de resistance showcases 4 bedrooms and 6 baths, fabulous two level guest house and features private access to Black’s Beach. Impeccable design, unparalleled quality and paramount location make this property a true piece of art. When it was first put on the market in 2008 it was priced at a whopping $39 million, but by 2011 the price went down to $19.388 million. Have you ever seen a home … away from home? This well appointed house has a cozy atmosphere and lets you be a part of the nature life. The view from the living area is amazing with 180 degree vistas of fields and also lets you enjoy the view of the beach. Located not far away from the sea, this residence inspires peace, tranquility and an overall sunny feeling. 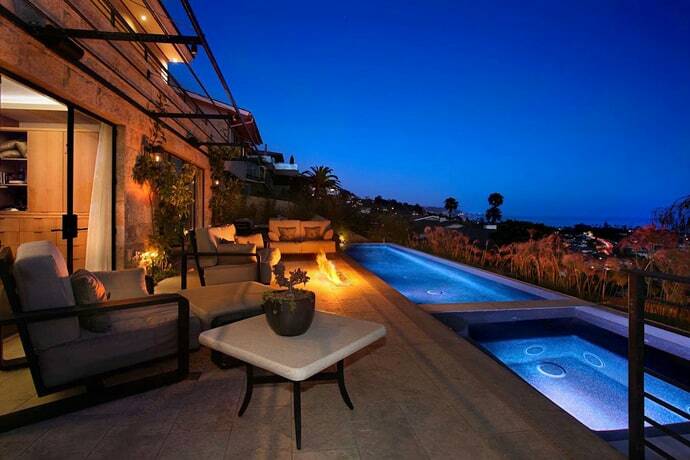 Incredible unobstructed Ocean and Catalina views from almost every room. Amenities galore, Private ‘Penthouse’ master bedroom and retreat with it’s own private ocean view deck, Snaidero Chef’s kitchen with all the best Meile appliances, Quartzite and Black Granite counter tops, etc…Amazing and one of a kind stone fireplaces with fossilized and semi precious stones, Sea Grass limestone floors and Fossil Stone walls. Two family rooms, one next to the kitchen with fireplace and dining with ocean views, and an informal family room enjoyed close to the bedroom areas. Large entertaining decks off of the living areas with infinity pool and spa. Temperature controlled wine cellar with approx. 1,500 bottle capacity and the garage capable of housing seven cars plus extra off street parking! Home builder Luis Bosch has sent us images of a house he recently built in Miami Beach, Florida. Costa Rican studio Luz de Piedra Arquitectos has designed the Casa Atrevida, a luxurious, environmentally friendly house. This five bedroom, five bath, vacation home is situated on a woodsy private refuge on the shores of Preciosa Beach in Puerto Jimenez, the largest town on the Osa Peninsula, Costa Rica. This is a recreational house, with it´s own carekeepers studio. 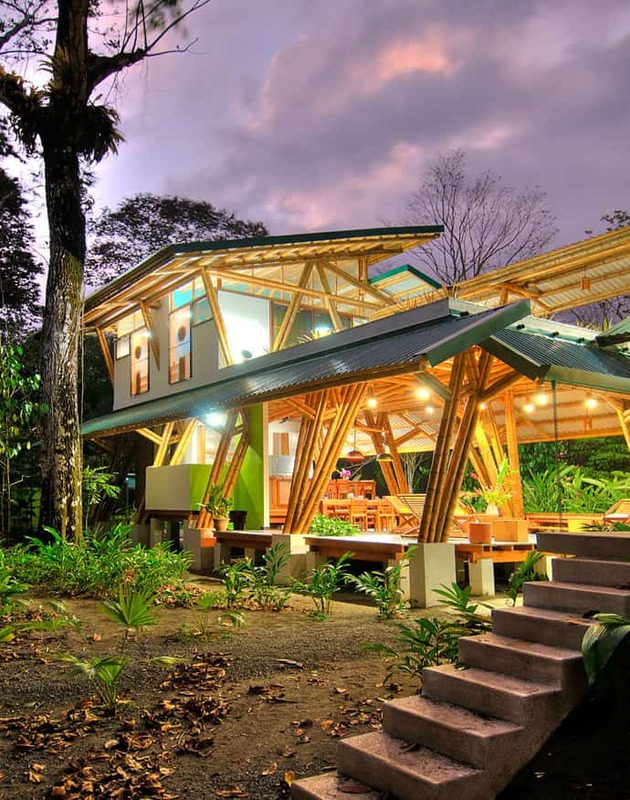 It was made with Bambu(Guadua) as the structural element, designed to be seismic resistant. An atractive material that has a short growing cycle, thus reducing carbon footprint in a forested area. Casa Atrevida accommodates up to ten guest and can be booked all year round from $2,100 to $3,500 per week, depending on the season. Pretty Beach House is an exclusive food-lovers Hamptons-esque with private beach house resort just outside of Sydney that takes the concept of ‘weekend’ getaway to a new level. 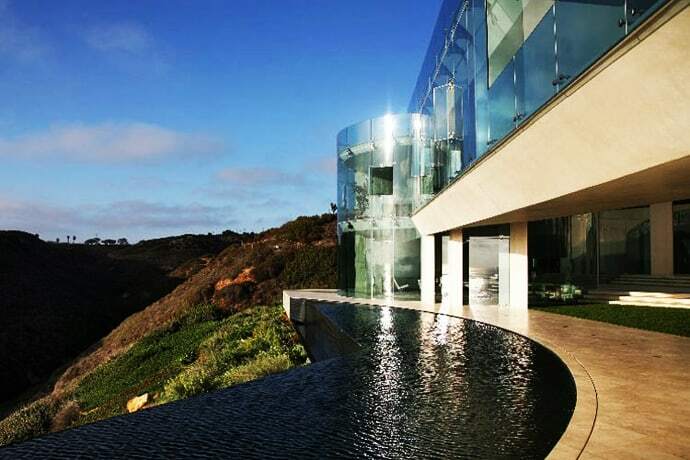 Urban Spa – Shubin + Donaldson Architects have remodelled this house to soak up its Malibu shore front location. Sliding doors and windows allow the residence to be open plan or sectioned off at will. The site elements of the highway and beach challenged, and dispatched with charming results. 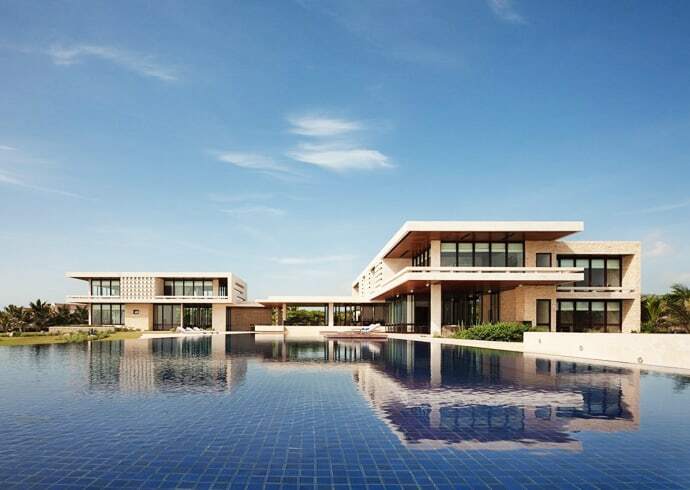 Architects and turned into a 2,900-square-foot beach-side modern house with beautiful glass sliding doors and windows that open towards the ocean to offer stunning sea-views. Everything is gorgeous and I don’t think my comments are enough. 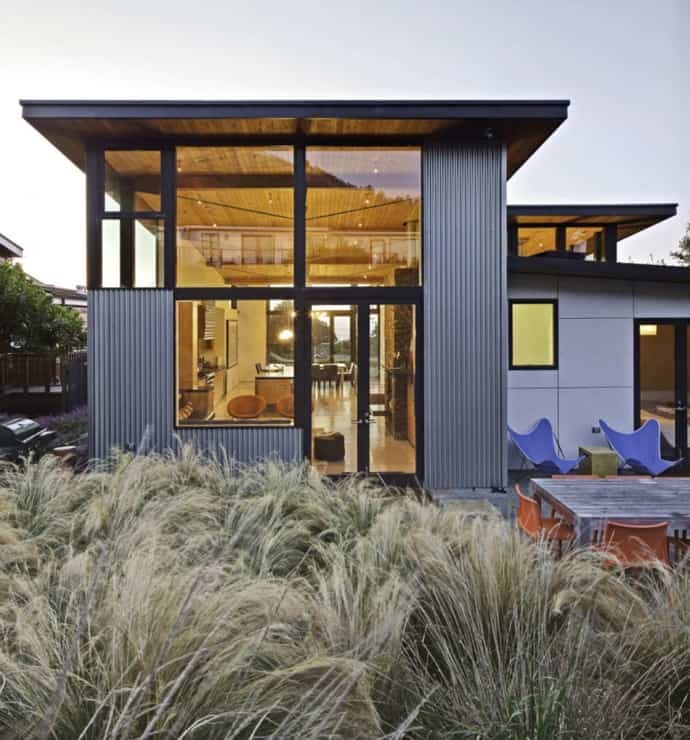 WA Design designed the Stinson Beach House near San Francisco, California. 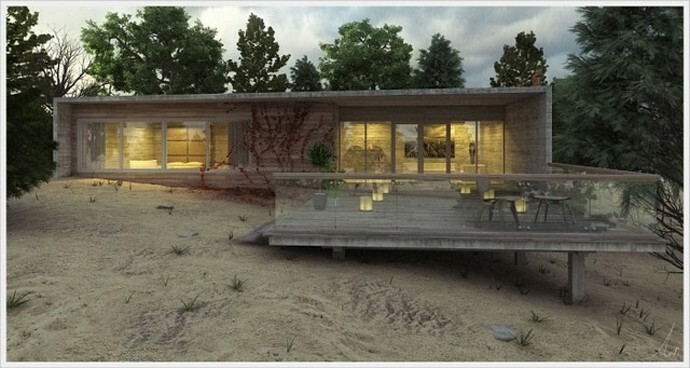 This 1400 square foot home is located on a small infill site in Stinson Beach, California. 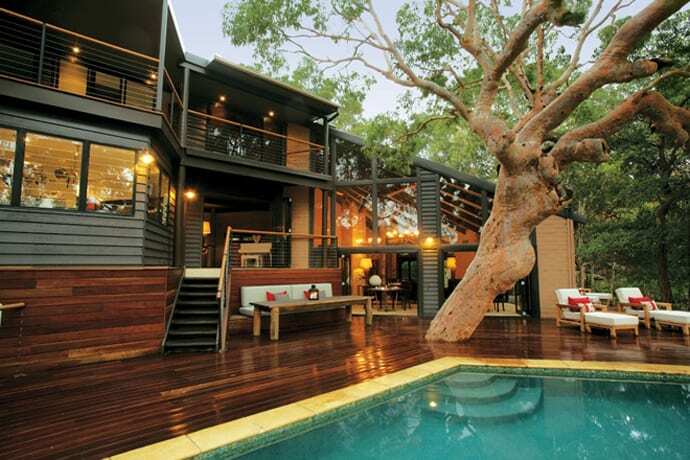 The home has a combination of modern detailing and rustic materials. On the exterior, recycled fir ceiling decking offers a counterpoint to metal and cement board siding. 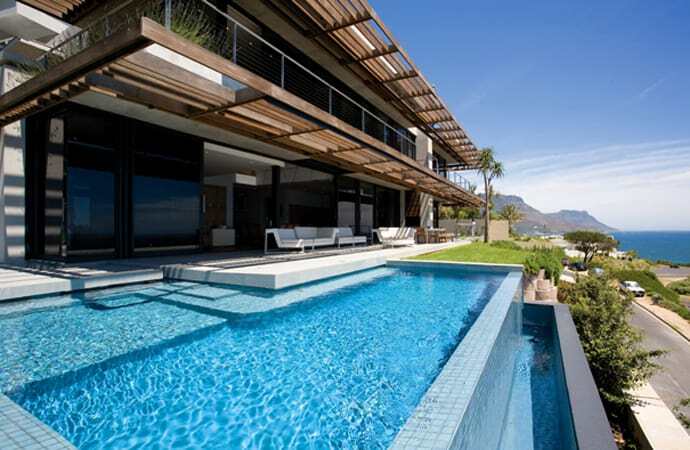 With solar water and photovoltaic arrays, the home has a netzero annual energy use.